The response so far has had a wide range, much of it to be expected. Of course, a lot of Toy Story fans are extremely worried about an unnecessary Pixar sequel turning out to be an inferior cash grab that diminishes an already perfect trilogy with what many consider the most satisfying ending possible. I’m one of those fans. On top of that, some are complaining that the initial teaser raises far more questions than answers, and the conversation has turned to questioning whether or not teaser trailers make much sense in the halcyon age of the internet, when most people primed to get excited about a new Pixar film have known about this new Pixar film for years, and are thus hoping for a teaser with a bit more substance. But underneath the surface, Pixar is saying plenty with these trailers. Rather than explain the plot in a teaser more akin to Detective Pikachu (which faces an uphill battle in having to justify its existence even more fiercely), Toy Story 4 has more room to make its case with subtler visual storytelling. Obviously, a lot of conversation about this teaser so far has revolved around “Forky,” a new character with some troubling implications (voiced by Tony Hale). We’ll get to Forky in a moment, but let’s just focus for now on the initial “sell” of this trailer. What is Pixar sneakily trying to tell us? The wall behind the characters is the first giveaway that Pixar wants viewers to feel comfortable. They’re watching something familiar in that clouded wallpaper representing the “big outside world” for these toys. The animation itself looks clean and cutting edge, even though we recognize all these characters from eight years ago. But the wallpaper is still the wallpaper we’ve seen since 1995. That hasn’t changed. Next, a bright light in the upper left corner represents the “bright” days ahead for these characters, plus the fact that the plot revolves around a road trip, so Woody and the gang are leaving the confines of Bonnie’s house. The real kicker for this teaser, though, is how pleasant and happy everyone looks. The gang’s all here! And they’re smiling. They’re happy they’re getting another movie! Why aren’t you? This is what Pixar wants you to think about instead of sulking in the prospect of a bad Toy Story sequel, or one that is tainted by the ousted John Lasseter, who pitched Toy Story 4 as a love story in dedication to his wife. Last, the teaser gets to Forky (or “Toy Story Fourky?”), who quite literally represents a fork in the road for this franchise. 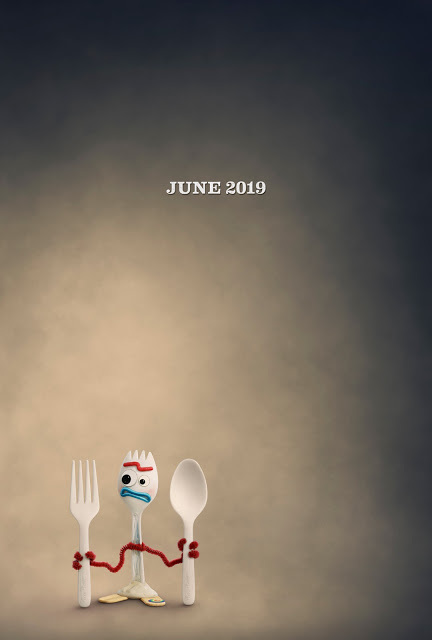 He’s really a spork, and the character poster for him emphasizes that exact joke, but more importantly he represents what’s “new” about this new Toy Story. It’s not just the gang coming back together for another adventure. There’s a new character with perhaps some new rules and new ways to think about the Toy Story universe. Forky is a product of Bonnie’s imagination. She made a toy. We haven’t seen Pixar address a concept like this since maybe Sid, but even then he “spliced” toys together. Bonnie, using just her wit and maybe a DIY YouTube tutorial video put some materials together and created a plaything of her own. While the previous Toy Story films have dived into the existential crises these toys have faced when it comes to “endings,” Toy Story 4 interestingly raises the question of reinvention and rebirth as the start of something not just new, but better. Growing up can mean new beginnings, not just sad goodbyes. That’s…actually a brilliant idea. Who wants another Toy Story film having to reckon with the three-arc structure of the first trilogy? Toy Story 4 can instead represent the next phase of Woody and Buzz “coming of age.” As in, saying goodbye to one another and going their separate ways. But again, this can be viewed as a rebirth, or the start of something new, similar to what it’s really like when someone steps into adulthood, when you have to leave your friends and they have to leave you. Perhaps this is where Bo Peep comes in, as she’s Woody’s new “partner” going along with him on a new journey that Buzz and Jessie can’t follow them on. This teaser establishes the togetherness of the gang, all holding hands to the noticeable throwback tune “Both Sides Now” by Judy Collins, only for them to symbolically break apart when a new “toy” enters the mix, screaming that he “doesn’t belong here.” The writing here is no accident. 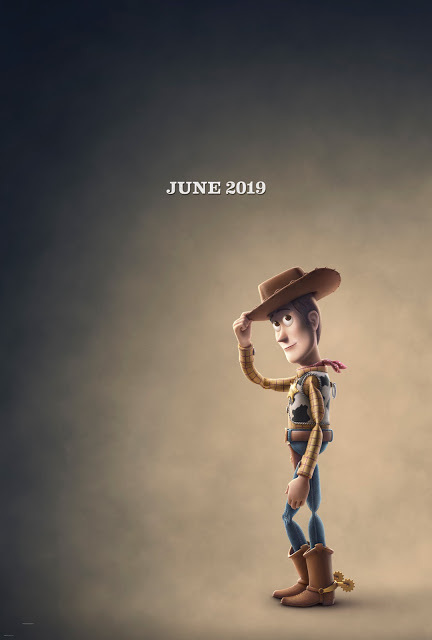 Pixar seems to be promising a theme of “belonging” making its way into Toy Story 4, and that may be the impetus for a third act that breaks the gang up forever, explaining those reports of Tom Hanks getting so emotional when voicing his final lines for the film. For a lot of viewers, this will hit a raw nerve considering the recent passing of Don Rickles, in particular. Nothing lasts forever, which is what we learned in Toy Story 3. In Toy Story 4, perhaps not even friendships last forever. But that doesn’t have to be a bad thing. Forky was a spoon and a fork, combined to be something better than one or the other. But with Bonnie’s imagination, he’s even more than his initial purpose seemed to be. The same can be said of love, and people becoming “one” with their spouse. And therefore, maybe, a little better than before. 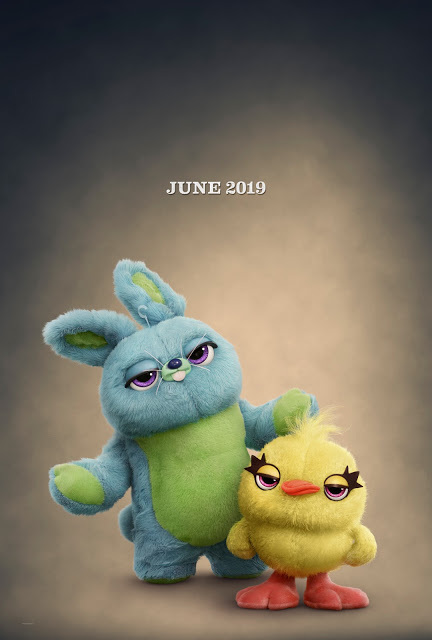 And then there’s Ducky and Bunny, who show up in what Pixar calls its “Teaser Trailer Reaction” to Toy Story 4. Keegan-Michael Key and Jordan Peele voice these characters in what is essentially an animated parody of the hilarious valet sketch, in which two carnival toy prizes joke about the teaser we just watched and then get to meet Buzz and Woody in “person” a moment later, only to make fun of Buzz’s catchphrase. It’s cute and a bit more straightforward than the initial teaser. It’s an attempt to adapt the Pixar brand into the evolving form of “trailer reactions” that center around the excitement building up for the content without actually having to reveal any content. 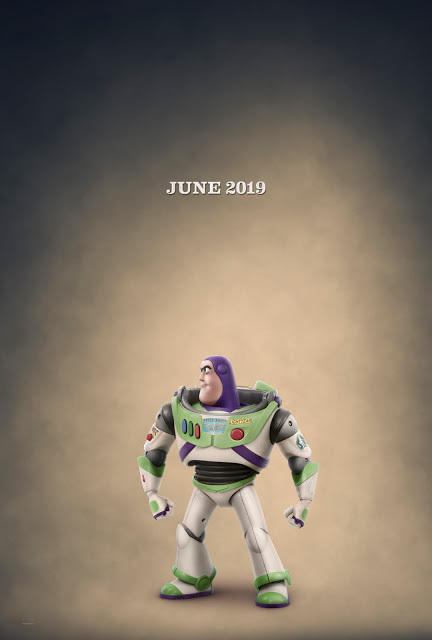 But at the same time, we get introduced to two new characters (who have their own character posters) and get a sense for the comedy Toy Story 4 might present. Peter Sciretta of Slashfilm made the interesting comment that the comedy in this second teaser reminded him of Illumination, the makers of the Despicable Me and Minions films. His point is thoughtful because this “reaction” teaser is certainly contemporary and matches that pop culture vibe those Illumination films have built huge success on, but for many, it’s just not the “Pixar feel.” I’m not as worried, simply because this really is a meta-trailer, not exactly a taste of the film itself. It resembles the same vibe of “characters knowing they’re in a movie” that we saw in the initial teasers for Toy Story 3. All that said, I don’t blame anyone for feeling cautious about Toy Story 4 at this point. There’s more than one reason to expect the worst, or maybe even something safe and mediocre, which could possibly be just as bad. But there are also plenty of reasons to expect something truly special and out of the box, even for Pixar. If these trailers tease at least one thing successfully, it’s that Pixar is definite trying something a little different, both in the story and how it’s marketed. And that certainly bodes well for a franchise that has always thrived off of big and bold ideas. Did these Toy Story trailers come alive for you? Let me know in the comments. 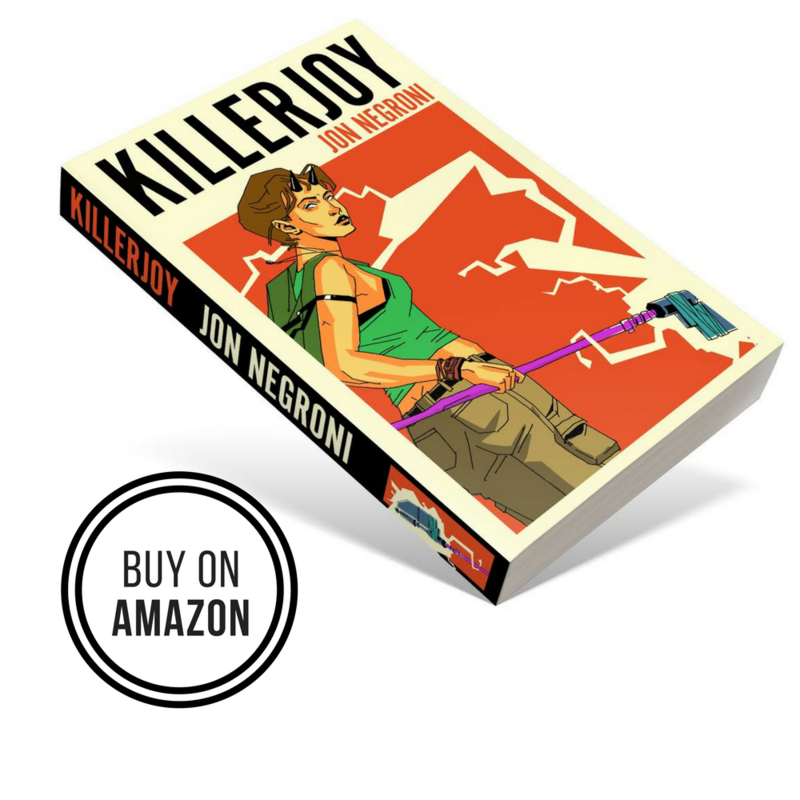 Also, you can get updates on my theories, books, and giveaways by joining my Mailing List. can’t believe you got all that from a teaser. I also can’t believe every word of it makes sense. So…Detective Pikachu looks good right? I love your writing, Jon, and this is some of your best work yet. I love the optimism behind characters “uniting” and “separating” in order to become something different but better. It’s classic Pixar if done well. 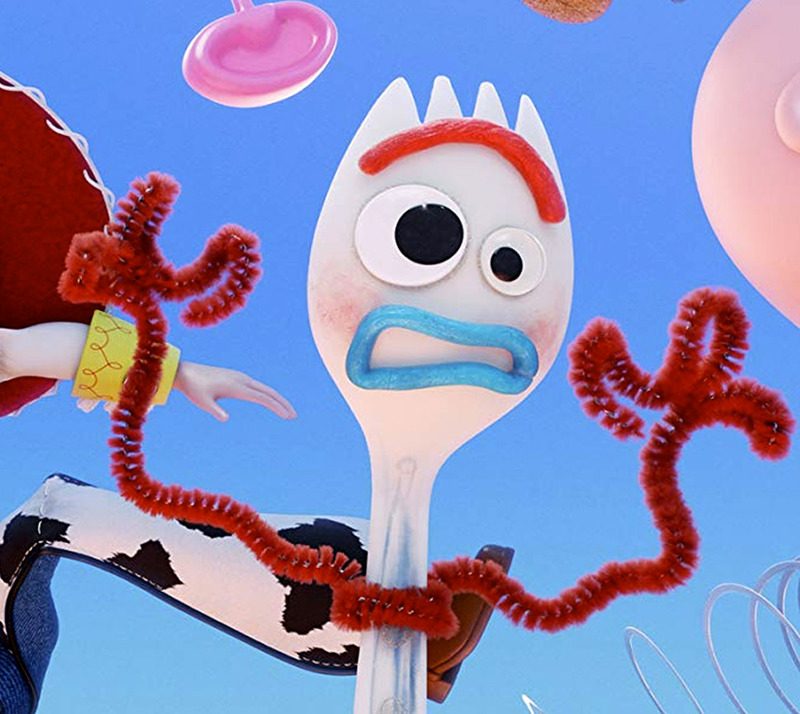 How is Forky alive according to the Pixar Theory? As always, we shall wait and see. For us Italians, Toy Story 4 will be harder to watch than for everybody else in the world. In addition to all that’s written in this post about the plot etc, a few months ago we lost Woody’s Italian voice. He was a beloved and cherished TV personality since the early ’80s. We still can’t get our heads around the fact that our Woody won’t speak with his voice anymore. I think I’ll watch Toy Story 4 only in English, that’s the only way I think I will make it. This is one of the best article i am reading right now. great work and really informative and helpful me to. Carry on with the good work ahead. Thanks for sharing the info with us. 2019 is going to be a great year. Toy Story 4 is coming, Aladdin is coming, Game of Thrones is coming. Every toy story movie has taught me something! I always will wait for it, and Andy is amazing , the way he teaches me a lesson all the time! But there are also plenty of reasons to expect something truly special.